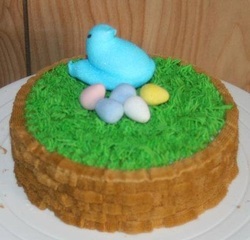 I made a few of these fun Easter Baskets for both large groups and small. The whole cake was hand piped with no cheating on the grass (no colored coconut). 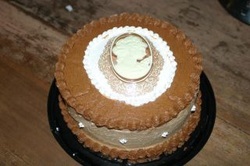 This cake was an 8" no-fill cake with a butter-cream frosting with hand piped boarders and a Cameo layon. Cameo layon also available separately upon request.